My guest today is Giulia Scarpaleggia from Jul’s Kitchen, an incredible project which includes a blog, food writing, food photography & videos, and a cooking school! Join me to hear from Giulia’s own voice how it all began and how it has evolved. 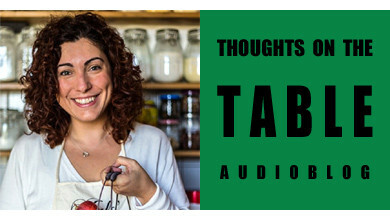 During the episode we also talk about the recipe development that led Giulia to writing her fifth cookbook (currently being finalized) which will feature 100 recipes inspired by tradition, and which will not include Chicken Parmigiana – a dish you will not find it in Italy! You can follow Giulia also on Twitter @julskitchen, Instagram, Pinterest, and Youtube.